Party #173 makes me think of 1973 when I graduated high school. Such a long time ago, but I remember it vividly. It was HOT! Our graduation was out on the football field and I think I may have melted. Now they have them inside around here in air conditioned buildings. Probably many of y'all have celebrated with graduates recently or will soon. That is a sure sign that it's summer time. Welcome to Wow Us Wednesdays. I am thrilled y'all are here and now let's look at some features from last week. Quilted Nest shared some beautiful shots of a couple hot air balloons that they spotted when they out on the open road on their anniversary. What a great sight to see. 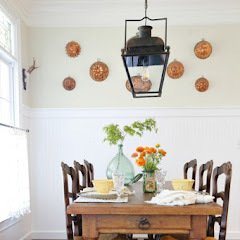 I love this farmhouse style bedroom filled with vintage items that was shared by Ranger 911. Fabulous bathroom reno by Southern Abbey. 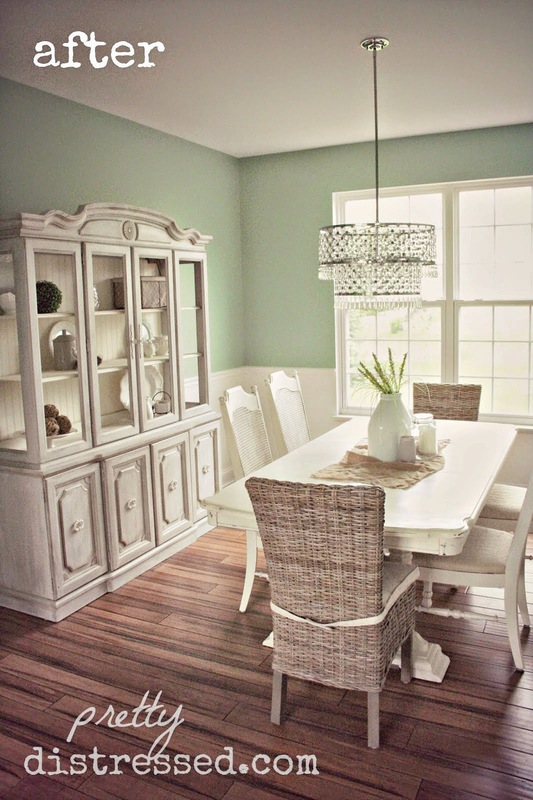 This pretty dining room makeover was shared by Pretty Distressed. This Hoosier cabinet was transformed and accessorized beautifully by Somewhat Quirky Design. 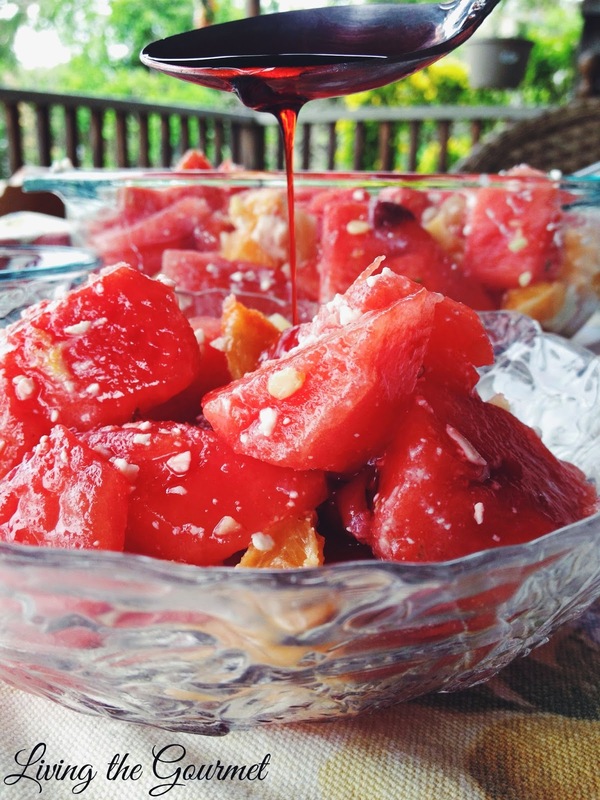 Living the Gourmet shared this refreshing watermelon fruit salad. 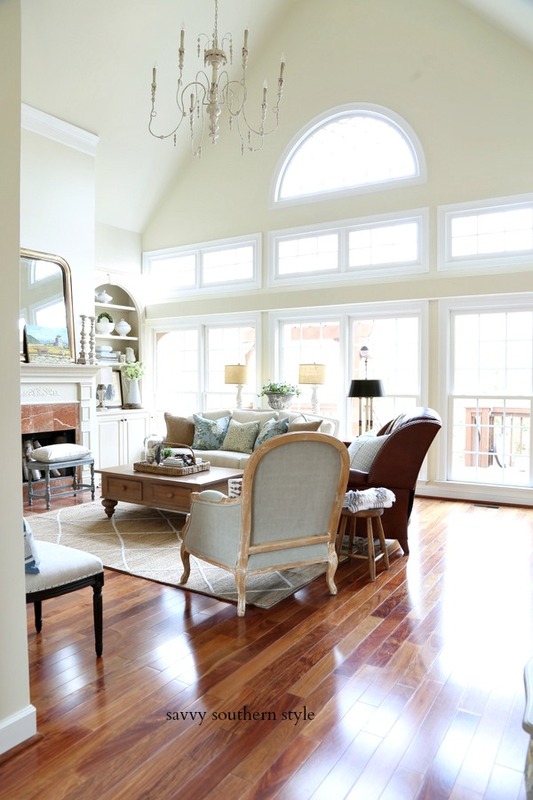 And last, but not least is Pamela's gorgeous master bedroom makeover. It was also the most viewed link last week. 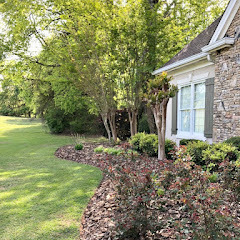 Be sure to check it out at From My Front Porch to Yours. Pamela's bedroom is gorgeous! Great features,thanks so much for hosing Kim! Thanx Anne! I am still crushing on your master bath! Thanx for hosting Kim! And thank you for the feature! Fun features, Kim. 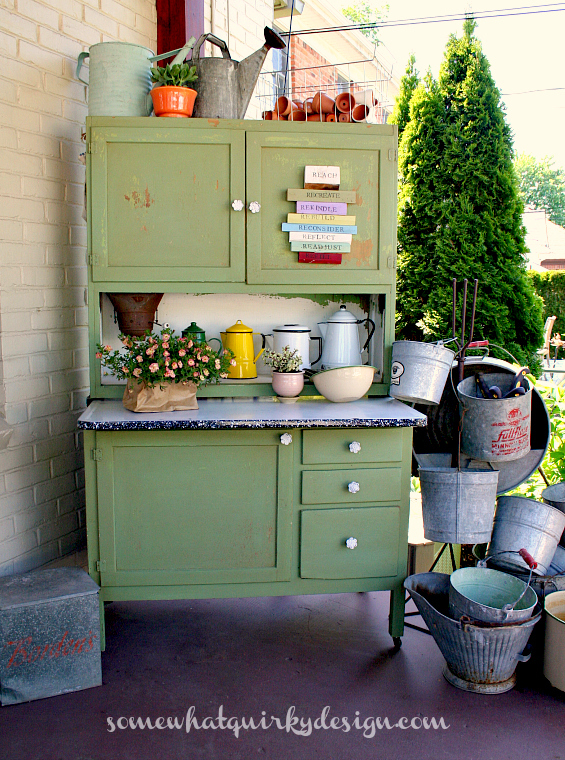 I love that outdoor Hoosier cabinet! Thanks for hosting this week. It was hot here today and I almost melted :) Thanks for hosting! Great features Kim, thanks for hosting. We graduated high school the same year. Seems like yesterday. That's a beautiful bedroom! Thanks for hosting us, Kim! As always I enjoy joining the party...Thank you for hosting. I graduated High School in 1974 in June in the evening and it was also a very hot day! Love Pamela's dreamy bedroom too! Thanks for hosting Kim! Love those features. Thanks for hosting again! Thanks for hosting Kim! We graduated outside too, and had no air conditioning in any of our classes! Class of '73! I'd say that was a very good year. Around here college graduations are held outside, but they're always on Mother's Day. By the time June rolls around, we need indoor venues! Thank you so much for hosting, Kim! Your features from last week are great. I love the way you feature such diverse posts! Everything is so inspiring! Thanks for hosting! I linked my night time lighted pergola. I love both Pamela's and Vickie's bedrooms! And that hot air balloon photo is gorgeous - looks photoshopped, it's so good! Thanks for hosting, and have a great week, Kim! Great features....thanks for hosting the party! Great summer links here! Thank so much, Kim! It looks like enough fun to keep me busy all week! Thanks for hosting, Kim! Thank you, Kim! I always appreciate linking up at your party. Super features, thanks for hosting Kim! 1973?? Me too! :) Lovely features...Always love Wednesdays because you throw such a great party! Happy to see those features - need some bedroom ideas. Class of '71 here. Just attended South Gwinette High graduation - the traffic!!!! Thanks for hosting. Hi Kim... so much fun to be partying with you tonight!!!! Thank you so much for hosting Kim! Hope you have a lovely week! Did you attend your 40th High School reunion last year? I graduated the year before you! Those were the days, weren't they? 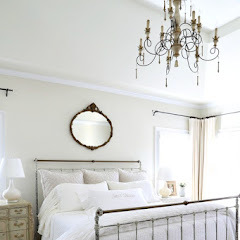 love love love Pamela's gorgeous bedroom! thanks so much for hosting, Kim. Thank you so much Kim! Very happy to be here! there is just so much beautiful to see here today, this is a two cup of tea blog post, I will be here that long!! That watermelon salad looks so refreshing. Thanks for hosting, Kim. 1974 is my high school graduation. Seems like it was only a few years ago. Wonderful features this week. Thanks for hosting Kim and blessings to you dear lady. Well, you just made my day, Kim! Thank you so much for including my guest bedroom among this weeks fabulous features! It was 1977 for me and we don't have to worry about melting at outdoor graduation ceremonies. Our fear is being eaten alive by mosquitoes! Thanks for hosting another great party! Can't wait to see what everyone shares! Pamela's bedroom is so beautiful. Great features, Kim. Thanks so much for hosting! That apple green hoosier cabinet is simply perfect!! Thanks so much for hosting, Kim! Good morning Kim. 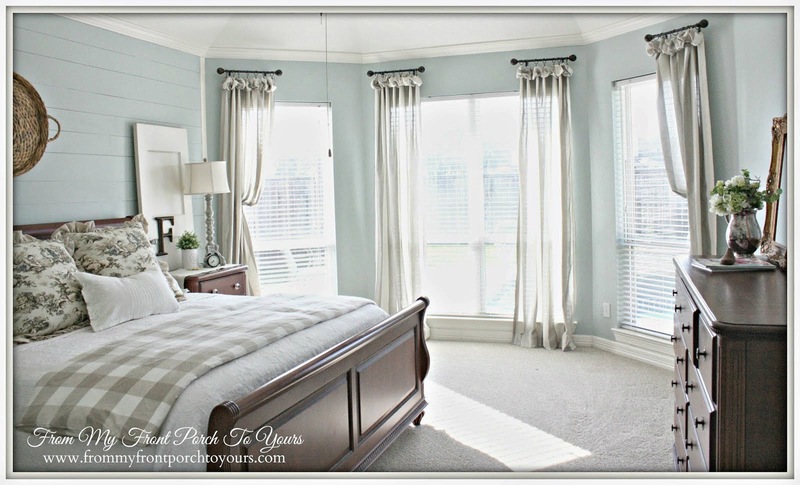 Great looking features and I love how Pam's master bedroom makeover turned out. Such soft colors and very elegant. It's always a pleasure to link up and visit around. Thank you Kim for the feature! You do an amazing job as always. Blessings to you and your blog this day!!! Thanks for the party Kim! And for the feature! You're such a dear and a great hostess. Great features as always....thanks for hosting Kim!! Thanks so much for hosting, Kim! That hot air balloon just makes me happy! Great features, as always. Enjoy your day! Thank you for hosting, Kim! I have been checking out these great parties for a while now and getting lots of inspiration. It is such an honor to be featured today. Thank you! Thanks for a fabulous party Kim!! Hi Kim, thanks for the party! Wow, there's some fabulous links in here this week. Great ideas!! Thanks for hosting, Kim! 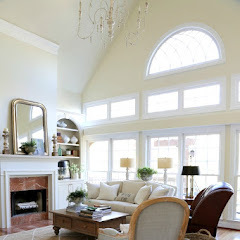 I adore all of the sunny inspiration! Have a beautiful day! Wonderful post full of inspiration! This party just keeps on growing. I'm off to see how many I can visit. Class of '73 for me as well!! Thanks for hosting.... I look forward to this party each week! Pamela's bedroom is gorgeous, I love the serene feel it has. It is so nice to see lots of garden and floral images, especially as we are now in winter, although saying that it is a glorious sunny day today. Thank you for the link up. 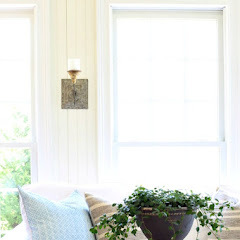 I have linked up a post about Georgica Pond's fantastic blue and white interiors. Thanks so much for hosting! 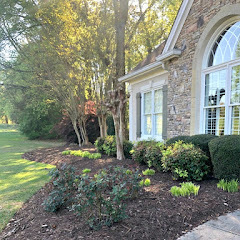 Really enjoying your gardening posts. Dear Kim, Thank you for featuring my salad; it really it nice. I am honored to be with all of you talented ladies. A great party and a wonderful hostess.